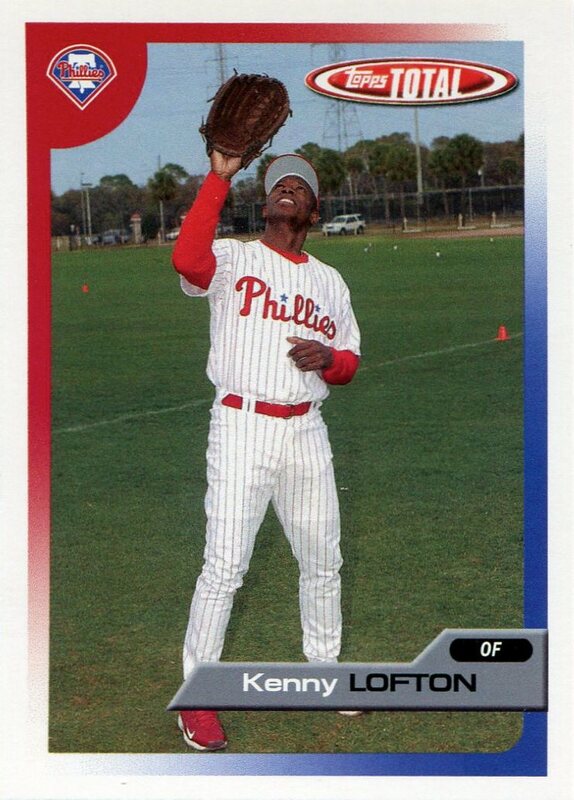 As promised this past Friday, the newest version of the Phillies Database file is now online. At over 65,860 items, it is now twice the size of the previously uploaded version and is complete through 2003. Furthermore, although none of the years since then are in a state I would deem complete, the overwhelming majority of the sets from those years are included as well. In fact, it contains entries for all but 261 of the cards in my own collection. Unfortunately, most of the remaining data that needs to be added involves parallels, inserts, and short-printed high-end product. In other words, I’m certain that I’m still thousands of lines away from completion. It completely boggles my mind that the file manages to simultaneously be so big, contain so much of my collection, and be so far away from completion. Just before I embarked on my unplanned three-month hiatus at the end of September, I stated I would write a post “describing the methodology and decision-making that goes into the file.” I did start composing it, but the length of what I’ve already written (like the database itself, it’s far from finished) almost demands that I break into a series of posts. I’ll start interspersing some of that material amongst other posts as the week progresses. I mean it this time — I have no intentions of going on some sort of hiatus anytime soon. 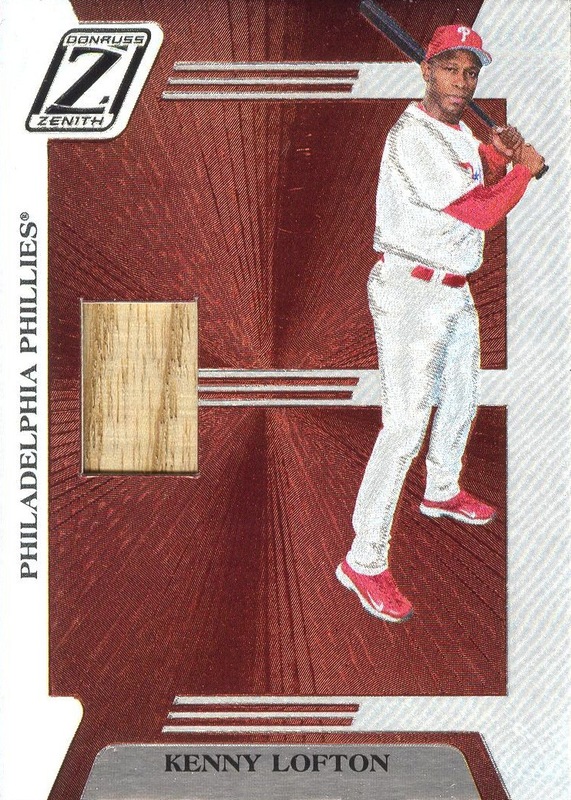 Phillies Baseball Card Database by Matthew Appleton is licensed under a Creative Commons Attribution-NonCommercial-ShareAlike 4.0 International License. 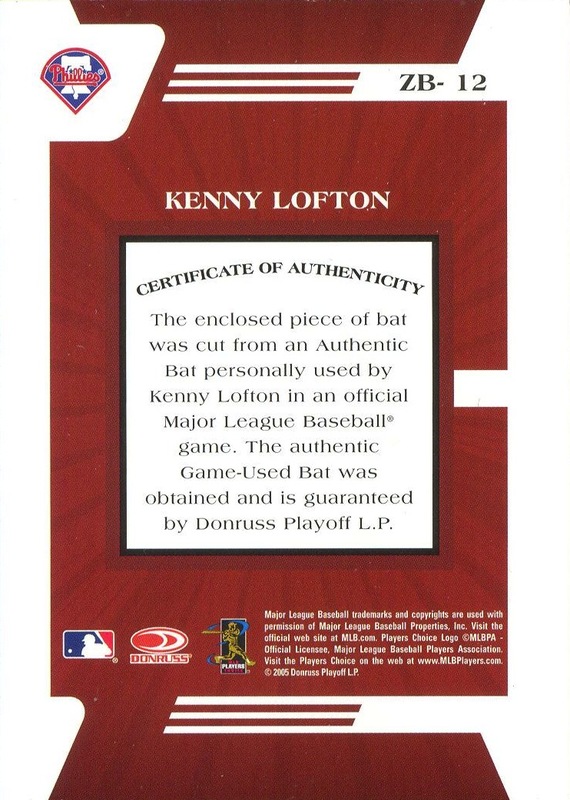 Additional Information: Cards were inserted in packs of 2005 Donruss Zenith.